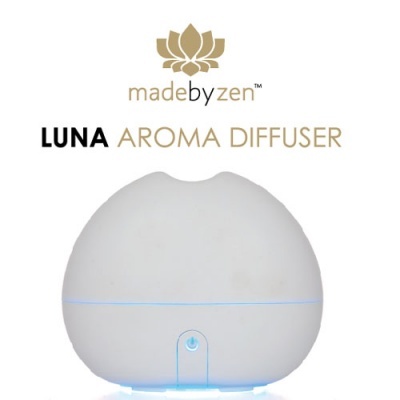 Made By Zen™ Luna White Aroma Diffuser inspired by nature offers a soft gentle illuminated diffuser, releasing two fragrant mist streams that rise through the opening at the top. This Italian designed Luna diffuser is softly lit underneath through a subtle yet striking blue glow light creating a stunning aspect to any interior. Lighting can be easily deactivated using the stylishly placed button on the front of the unit. 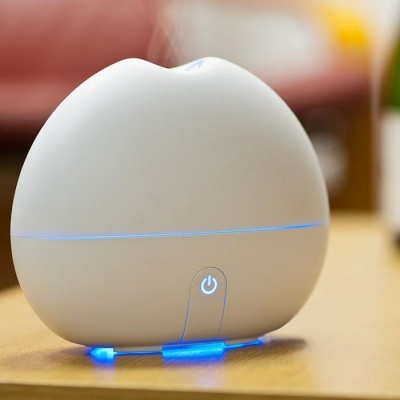 The scented mist can be seen dancing in a theatrical fashion as it is calmly released into the room. 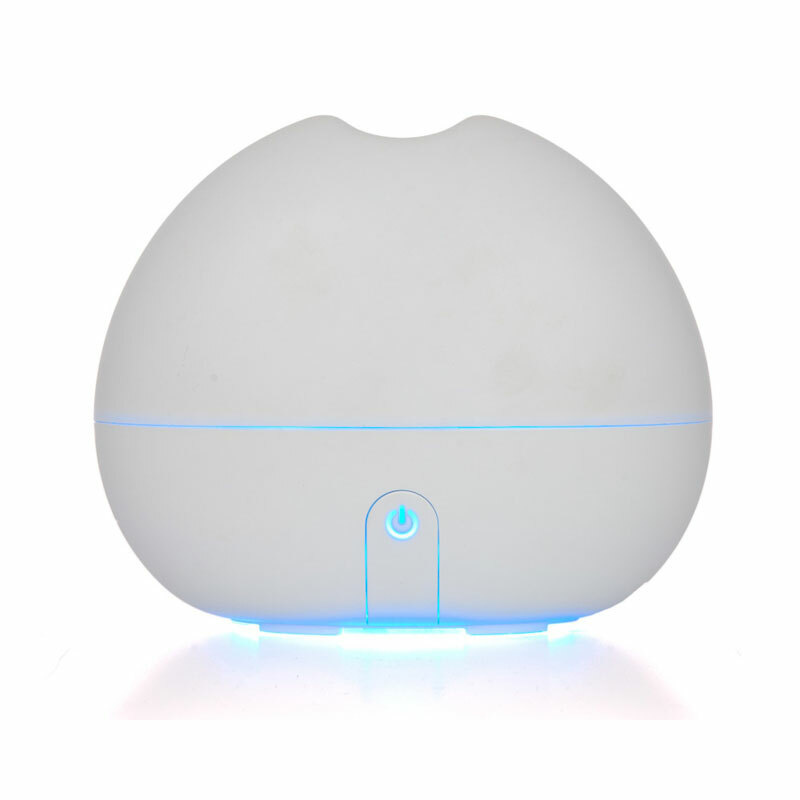 The Luna’s design has allowed the installation of a larger water tank, which allows use for up to 6 hours without the need to replenish the water.